Comic Golfer Trophy: Male Discounts Apply ! 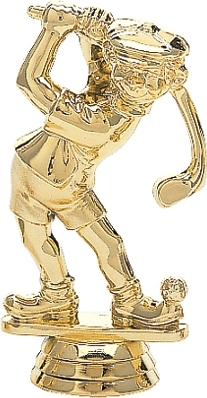 Our Comic Golfer trophy figure is made of spun nylon with a gold finish. Figure stands 4" tall, not including base height. Price includes base and free personalization on a laser engraved plate, or for an additional $5.00, select an engraved brass plate.